LBD & ONESIES - A Lifestyle Blog: Hello Flawless Skin! 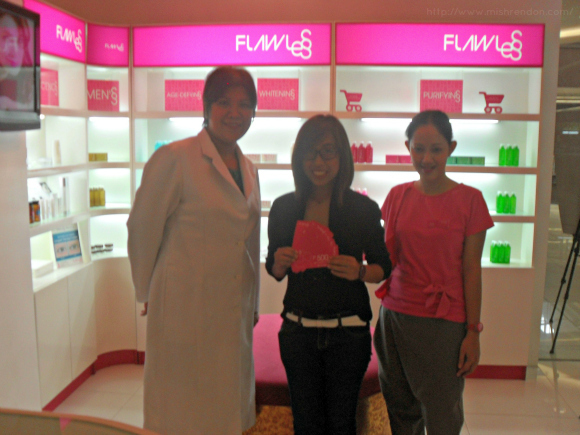 Earlier this week, I went to visit Flawless' SM Fairview branch to claim my prize from the My Flawless Beauty Transformation blogging contest with Nuffnang. :) I've never experienced a professional skin care treatment before so I am definitely excited to be pampered and cared by the experts of Flawless. I know their location very well cause it's near the coffee shop where I always study. Their nice and cozy interior. My first purchase was their Body Bleaching Kit which includes a Skin Whitening Soap, a Skin Lightening Lotion with Sunblock, Oatmeal Soap and Skinlite Cream. 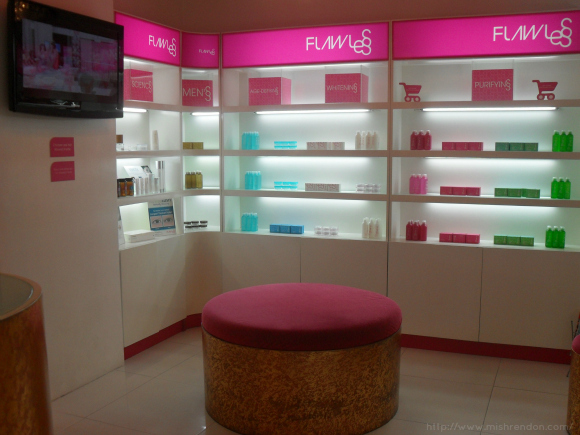 You may get these products at their clinics nationwide or at their online shop: https://flawless.com.ph/shop. I'll be posting a detailed review of these products and my IVG sessions soon. Wow you're so lucky. It's my dream to get a professional skin care treatment. By the way, the staff in the picture was my former college classmate. Hahaha!! !